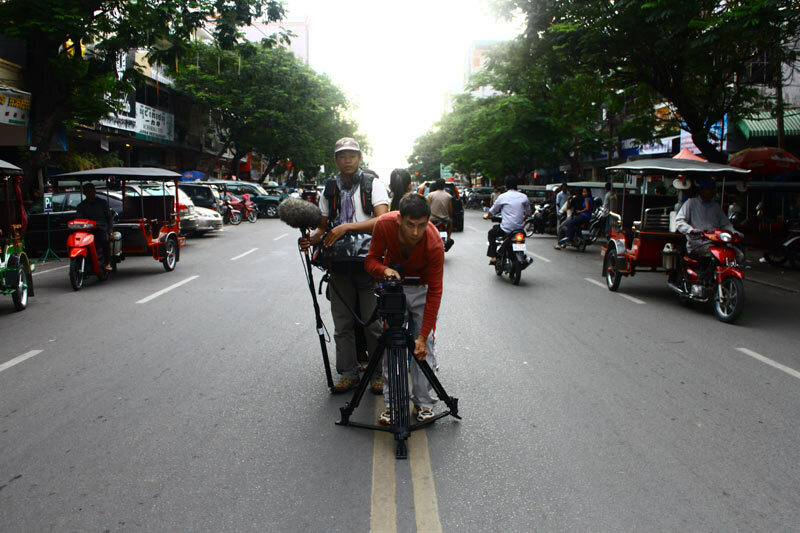 While directing his first documentaries as a filmmaker in Cambodia in the early 1990s, Rithy Pahn becomes aware of the serious plight of his country’s audiovisual heritage. After decades of war and genocidal horrors, a few archives had been saved, but only seemed to be waiting for time, heat or dust to eventually destroy them. 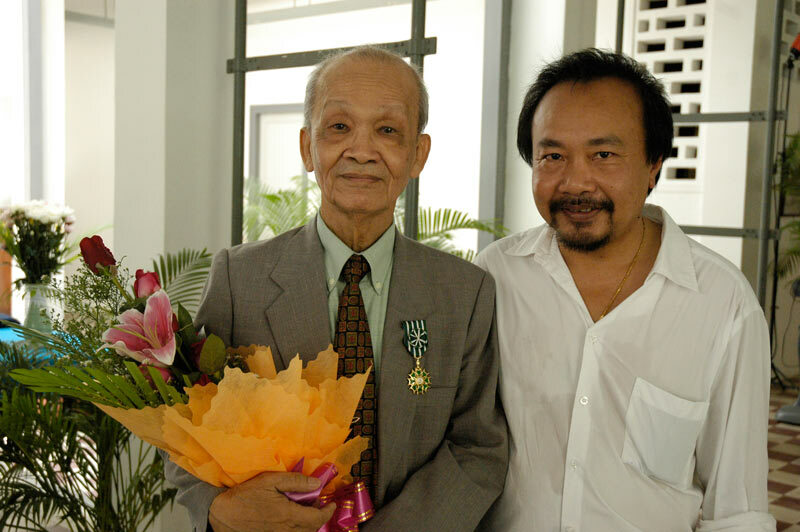 Within a decade or two Cambodia’s audiovisual heritage would be lost.Rithy Pahn’s concerns echo those of the filmmaker leu Pannakar who is in charge of the Film Department at the Ministry of Culture and Fine Arts of Cambodia. The two men start dreaming of a place devoted to memories and artistic creations. This venue would preserve Cambodia’s audiovisual heritage and reinstate its importance, while contributing to a new momentum.A special body -“association” under the french law- named AADAC (Association d'Aide au Développement de l'Audiovisuel au Cambodge) is created to be in charge of the project. This body relies on the work of four foundators- members deeply involved in the achievement of its goals : Liane Willemont, Agnès Sénémaud, Pierre Wallon and Jean de Calan, who heartily contribute to the conception and creation of the Bophana Center. It takes ten years for the idea to become reality. During all these years, they have to convince of the importance of archives and culture in expressing a nation’s identity. All these years, they fight to show how seminal the creation and access to archives collection is. 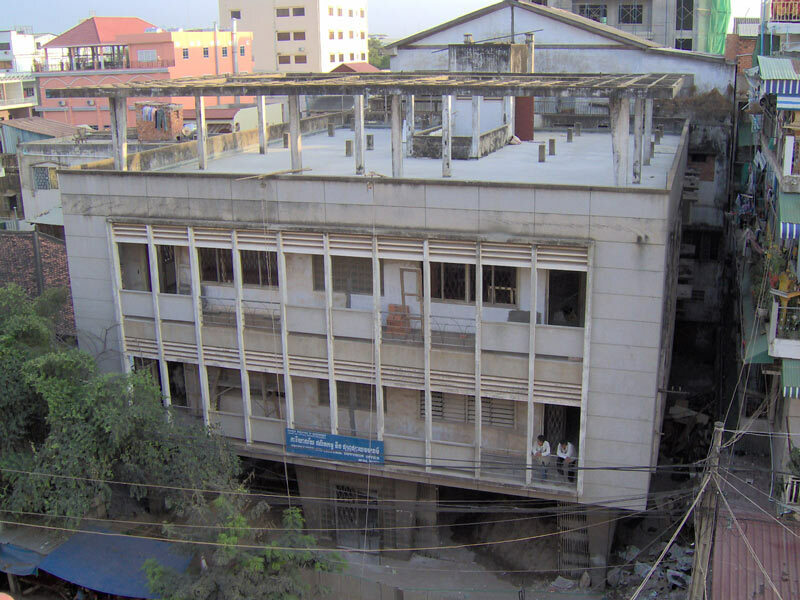 At this time, an international awareness on disappearance risks of not well-preserved films gives the Bophana Center project a boost.Cambodian authorities support the project and offer Bophana Center to be established downtown in a typical 1960s’ building. In 2006, the building is restored in compliance with its original design. French institutions also provide further support (bilateral cooperation, technical and financial support, access to large archives center). Within a few months the project finally takes shape! When the center is opened on Monday, December 4, 2006, it is called the Bophana Audiovisual Resource Center. 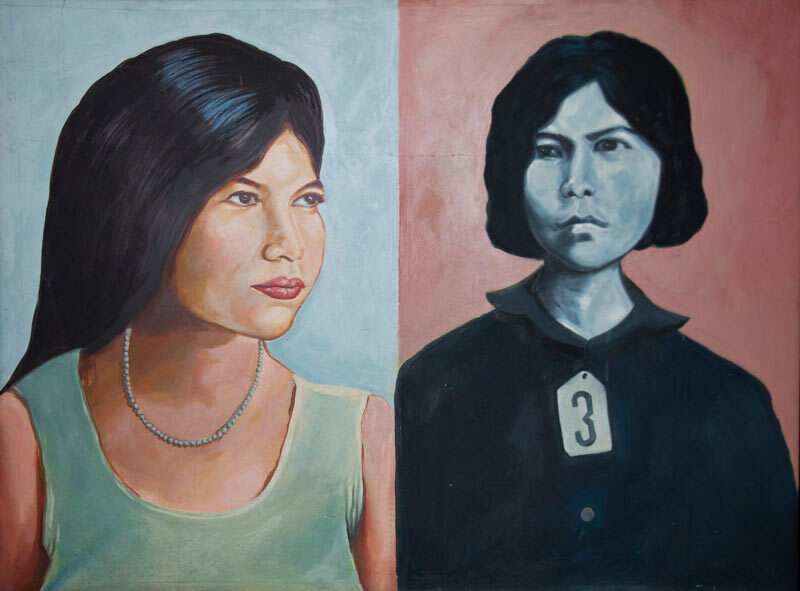 By naming the center after Bophana, a young female prisoner under the Khmer Rouge, the founders want to pass on the message of struggle, courage and dignity that she left to posterity through her letters and life story.The Bophana Center’s founders want to emphasize how important memories are to rebuild Cambodia’s historical continuum, despite the Khmer Rouge’s attempt to erase the past. "We have to control, understand and accept our own history," claims Rithy Pahn, by connecting with the past and giving the resources for reflection. The Bophana Center strives to give free public access to thousands of archives documents on Cambodia. To achieve this mission, the Archives Department lies at the heart of the center’s action. The Bophana Center starts providing intensive training sessions for archivists; organizing and indexing the archives; dubbing movies in Khmer; developing the Hanuman research database; and organizing cultural activities on film and audiovisual heritage.In addition, the center opens to new audiences by organizing screenings throughout the country; and by welcoming Cambodian artists and academic partners as part of the “Memory, Archive, and Creation” project. 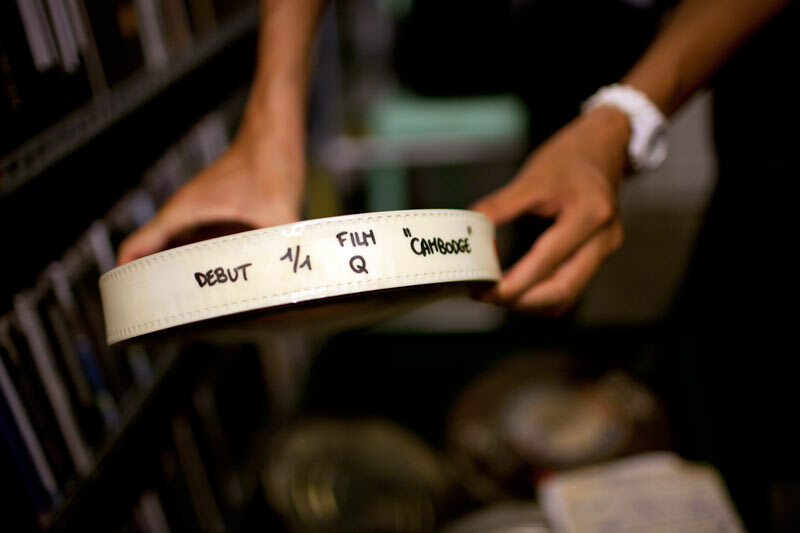 The center then also becomes a member of the International Federation of Film Archives (FIAF) and engages in South-South cooperation with Burkina Faso. In 2009, visitors to the Bophana Center increase significantly whilst the center offers more and more activities. Exhibitions are organized as well as concerts, art workshops, conferences, and educational workshops. The Cambodian team is well trained by then and takes over part of the center’s management.Thanks to skillful technicians, the Bophana Center is able to produce the Forgotten Songs CD and two movies. One of them is nominated at the International Festival of Audiovisual Programs (FIPA). Results are encouraging and lay the foundation for a financial empowerment strategy by sending the Bophana Center’s technicians and equipment to professional film crews. This simple idea is likely to generate funds.The Bophana Center also expands its missions and is now able to welcome and support international film directors who come to shoot movies in Cambodia. The Center therefore plays a key role in the establishment of the Cambodian Film Commission, inaugurated on July 16, 2009, with the support of the the French Development Agency (AFD) and Cambodia’s Ministry of Culture and Fine Arts. While the number of visitors continues to increase so does the demand for innovations. The Bophana Center speeds up its documents acquisition throughout Cambodia. Furthermore, with its newly and fully trained film and broadcasting technicians, the center can finally carry out its artistic mission.During these three years, movies are directed in-house and win great success esteem, leading the Bophana Center to further support artistic creation and encourage the development of Cambodian views on the world. The Bophana center also decides to provide the youth with the proper means of communication and expression, allowing them to participate in the world’s multimedia industry. This is how in 2012 Bophana Center launches its web documentaries project. 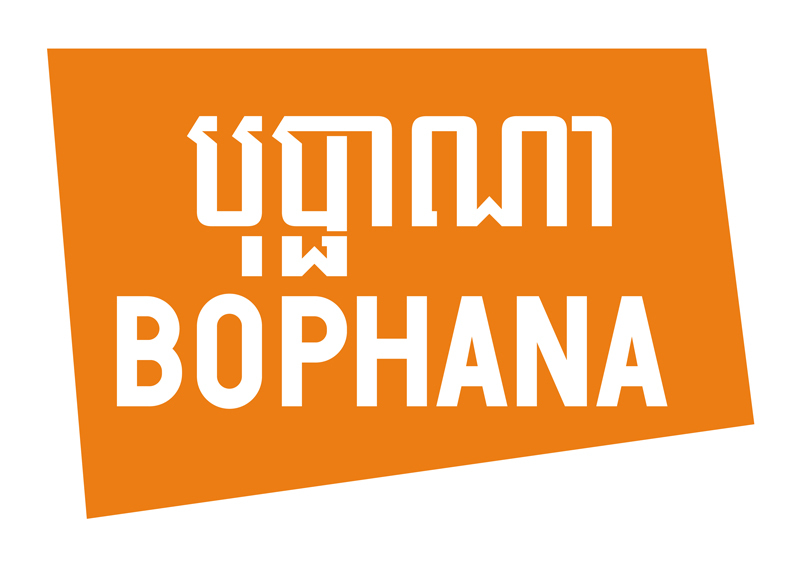 The Bophana Center unveils a new brand identity designed by Etienne Robial with the support and guidance of the Technicolor Foundation and the Groupama Gan Foundation. Part of the change includes a new website, developed in-house. With our new brand identity, we wish to enhance the center's activities and highlight their coherence and complementarity. This is also an opportunity to boost the image of the seven-year old Bophana Center to promote its action both in Cambodia and internationally.